The Elder Scrolls V: Skyrim is one of the most popular open-world game of recent years. With an enormous, sprawling world for players to explore, filled with dragons, draugr, and all manner of other enemies, players are pretty much free to tackle whatever they want in whatever order they wish. However, if you’ve exhausted everything you can do in the game, you might be looking for other games like Skyrim to scratch that itch. Fear not, we’ve got you covered down below with games similar to Skyrim. Looking for some games like Skyrim? Let’s kick this list off with a game from the big N. Nintendo has a knack for putting their own special magic into popular experiences. 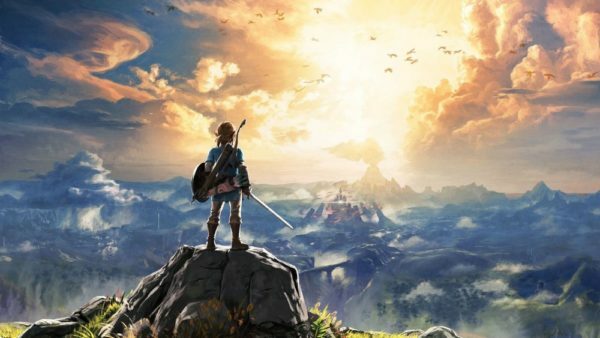 Splatoon showed that team-based shooters didn’t have to be super mature or full of gore to be major hits, and Switch launch title, The Legend of Zelda: Breath of the Wild, showed that the company is more than capable of creating massive, memorable open worlds. It’s a Hyrule that will draw you in. Nintendo takes exploration a step further, by allowing you to walk/run/swim/glide/climb throughout the world with ease. Wonder what adventure you’ll find on top of that mountain? Go climb it. Curious about those ruins in the middle of the lake? Swim over. Feel like flying? Hold on tight to your hang glider. You do as you please, just like in Skyrim (though a bit more family friendly).